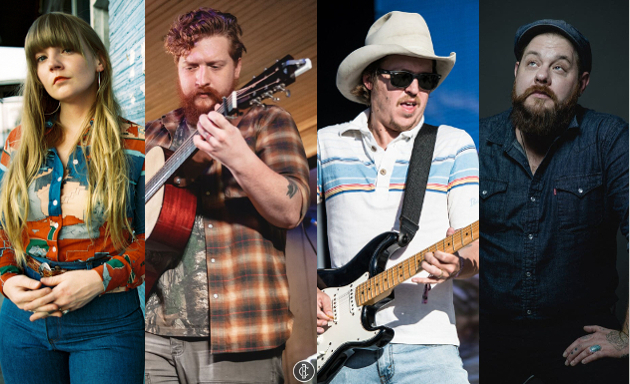 Saving Country Music’s home festival, and the place where Sturgill Simpson was discovered, a.k.a. the Pickathon Festival just outside of Portland, OR has just announced their initial 2019 lineup, and it includes a lot of worthy names from the country and roots world and beyond who will assemble at the Pendarvis Farm August 2-4 for the 21st Annual gathering. Crowned by Nathaniel Rateliff and the Night Sweats, the early lineup also includes the Saving Country Music reigning Artist of the Year Tyler Childers, the reigning Best Live Act Mike and the Moonpies, soaring Pacific Northwest songwriter Courtney Marie Andrews, formidable bluegrass band and frequent Tyler Childers collaborators Town Mountain, Mandolin Orange, Lauren Morrow formerly of The Whiskey Gentry, and San Antonio’s best kept secret, Garrett T. Capps, among many others (see full lineup below). Established in 1998, Pickathon is an independent, highly-curated, master planned, all-ages and family-friendly music festival. Unlike other festivals, Pickathon features multiple performances from artists in a variety of settings, from a stage deep in the woods, to intimate performances in hobby barns, to the big main stage in a field lined by towering Douglas Firs. Along with the music comes leadership in the festival space for curating every aspect of the festival-going experience, and a zero-waste site model that is like a shining city on a hill for how to manage the impact of large events. Pickathon knows how to keep it intimate, with only 3,500 attendees in 2018, but puts on a festival with national implications, with many of the biggest names in roots music first getting their big start on a Pickathon stage. 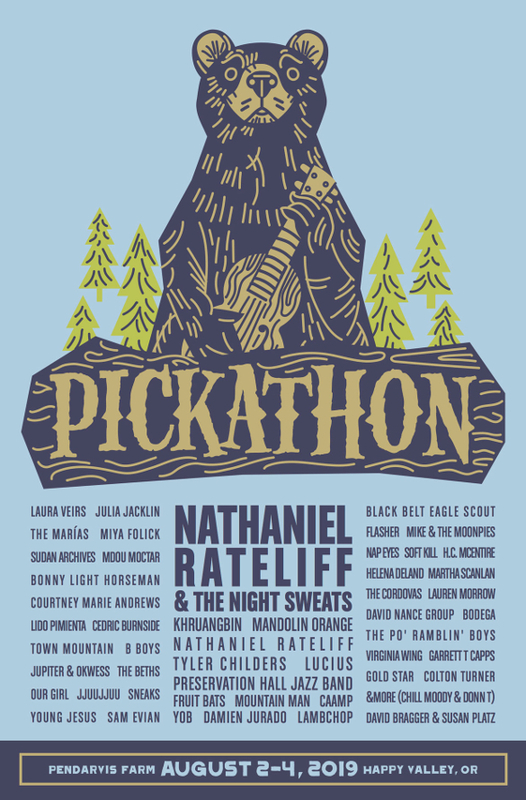 For more information and to purchase tickets, go to pickathon.com . What do you mean by home festival? Pickathon is the festival I go to every year, hell or high water. They were supporting artists like Dale Watson and Wayne Hancock way before others. It was the first roots festival to look beyond the obvious names. It’s where careers are made and artists get discovered. I’ve watched with my own two eyes the careers of artists like Sturgill Simpson and Lake Street Dive get launched from a Pickathon stage. I never lived in Portland, but I did live in Southern Oregon for a while, and return to the area every year. Where in Southern Oregon? Your comment took me by surprise that it’s your home festival. I just moved back to Roseburg and my wife and I are looking at going to this festival now. Thanks for reporting the good stuff. I’ve never been to pickathon but it seems strange to have YOB there. I had to check the pickathon website to make sure it’s the band I was thinking of. They put out one of the best doom metal albums last year. Is that consistent with pickathon to have a band like that? Yes, over the last few years they’ve had at least one straight up metal band to the lineup. Though mostly a roots festival, they do a good job finding performers from other disciplines that are having a big impact in their respective scenes, and can be enjoyed by most music listeners, regardless of genre tastes. How family friendly is this festival? Always looking for ways to inundate the fam with good music, but not interested in all the stupid drunks that populate many of them. Pickathon is the most family friendly festival I have ever been to, with Old Settler’s Festival being second. Pickathon has an entire area set up just for kids, with activities and its own stage and entertainment lineup. Each year the kids put together a parade that marches through the festival site. As kids get older, they hang out beside the path that goes to the Woods Stage (which is out in the woods), and often will sell little handmade trinkets, or if they’re budding musicians, they’ll busk. Many families bring their kids and eveyone’s cool with them, and drinking is designated in specific areas that get expanded at night so that kids don’t get swept up into any crazy night life. Pickathon is expensive and not for everyone. But if you can make it, afford it, and want to take your kids to a cool festival, it’s just about perfect.